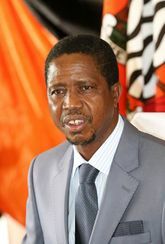 The President of Zambia is the head of state and the head of government of Zambia. 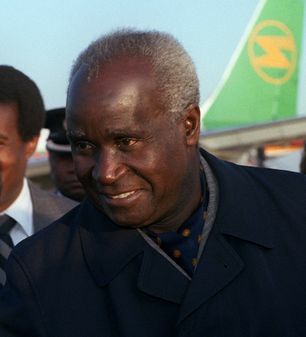 The office was first held by Kenneth Kaunda following independence in 1964. Since 1991, when Kaunda left the Presidency, the office has been held by five further people: Frederick Chiluba, Levy Mwanawasa, Rupiah Banda, Michael Sata, and current President Edgar Lungu. In addition, Acting President Guy Scott served in an interim capacity after the death of President Michael Sata. Since 31 August 1991 the President is also the head of government, as the position of Prime Minister was abolished in the last months of Kaunda's term. The President of Zambia is elected to a term of 5 years. 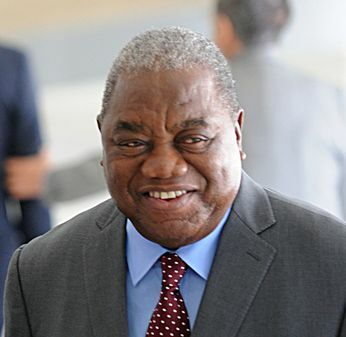 ↑ Acting for Mwanawasa to 19 August 2008. ↑ Acting after Sata died in office. This page was last edited on 14 November 2016, at 13:21.